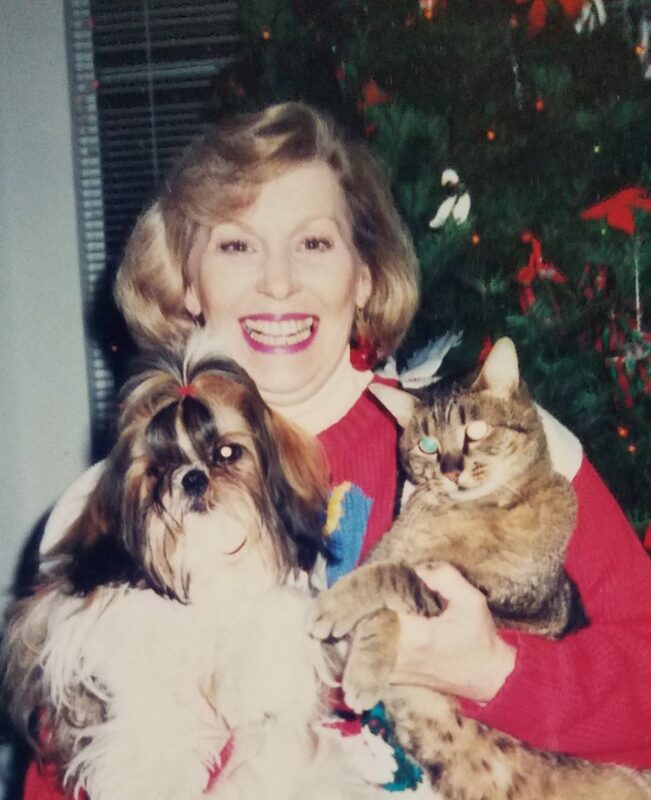 Bette Zane (Robertson) Schmidt, 79, of Reno, NV passed into the arms of her Savior on January 30, 2018. Bette was born on December 31, 1938 in Los Angeles, CA to Sara Cara (Carrie) (Tissenbaum) Robertson and Wilbur (Bob) Dare Robertson. Bette grew up in Palm Springs, CA with her brothers Bob, Bill, Tom and Verne and sister Donna. Bette graduated from Palm Springs High School in 1956. Some years after high school, Bette moved to South Lake Tahoe where she met and married Al Schmidt in 1962 and gave birth to her two daughters Tracy and Allison. She and her daughters later moved to Orange County, CA where she worked until 1973 when they moved to Alameda, in the San Francisco Bay area. Bette’s business savvy, friendly disposition and trustworthiness ensured her success in real estate and later in the mortgage industry. Bette retired in 2005 in Truckee, CA. Bette loved being a mom and grandmother. Her daughters and grandchildren were the most important part of her life. She was never so happy as when she could spend time with her grandkids. Bette was accomplished at gardening, quilting, crafts and DIY projects and she could cook like nobody’s business. Her home was always warm and open, welcoming friends and wayward college students, and loving those around her. Above all, Bette loved Jesus. She followed Christ and gently welcomed others to join her. She will be remembered for her deep faith, tremendous love for her family, and her generosity of spirit. Bette is preceded in death by her parents Bob and Carrie Robertson, brother Bob, sister Donna, niece Marcie and grandson Geoffrey. She is survived by her daughters Tracy Pelletier (Mike), Truckee, CA and Allison Sturm, Sparks, NV and grandchildren Chace and Kallie Sturm, Parker and Terry England and T.J. Pelletier as well as her brothers Bill, Tom and Verne, and by many nieces, nephews, and friends whom she loved so much as well her beloved canine companion Cassy. A Celebration of Life will be held on Saturday, March 10, 2018 at Sierra Bible Church 11460 Brockway Drive, Truckee, CA at 1:00 pm. In lieu of flowers, the family suggests a memorial donation to the Humane Society of Truckee-Tahoe 10961 Stevens Lane, Truckee, California 96161.